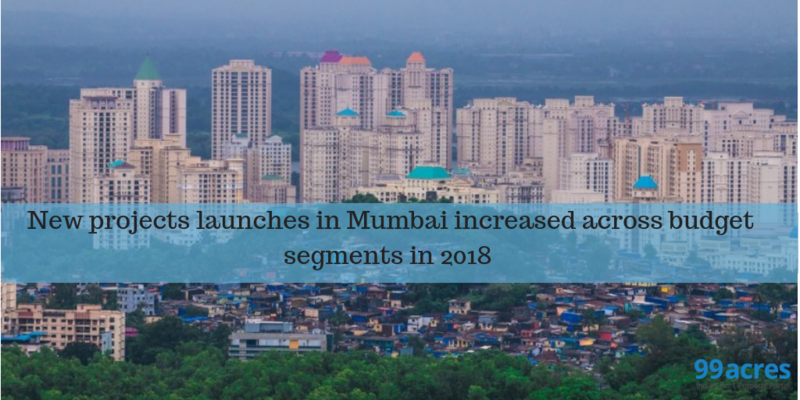 With Mumbai’s real estate exhibiting positive signs of recovery, 2018 has been an interesting year with new launches across various budget segments going up. 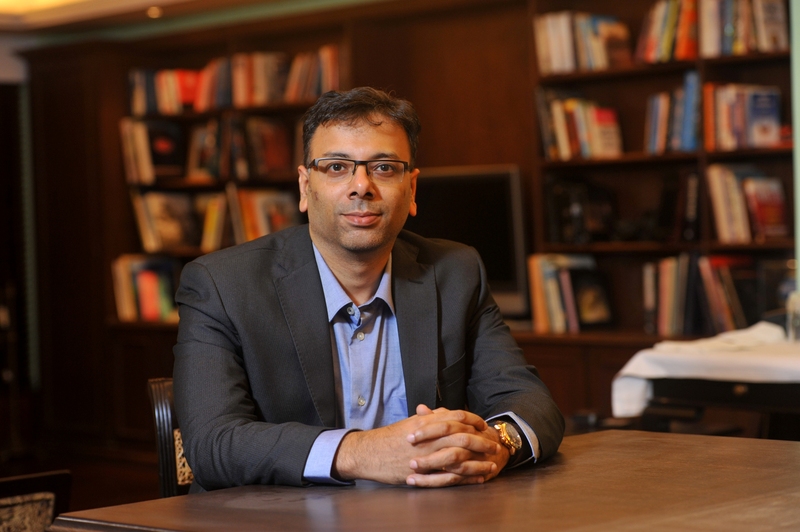 99acres.com in conversation with Subhorov Roy, National Head Sales, Mahindra Lifespaces analyses the city’s performance in 2018 and the expected trend in 2019. The year 2018 has been an interesting year for the residential market in MMR. The absorption of newly launched units has increased quarter-on-quarter, while the total absorption has remained constant. There has also been a marginal decrease in inventory overhang through the year. Prices have remained stagnant. We are currently amidst a buyer’s market, and there is clear consumer preference for regulated developers with a prior track record of quality and timely delivery. As with other markets, the focus in MMR is shifting towards optimal ticket sizes and completion of existing projects. We anticipate the realty market in MMR to witness steady growth in CY 2019. Homebuyers continue to be price sensitive, with a preference for projects by branded developers of repute and homes that are well-connected to business districts in the city. The affordable housing segment has seen significant growth, with a substantial percentage of new launches in this category. Launches in the segment have been dominated by smaller-sized units with affordable ticket size (Rs 25-50 lakh). At the same time, the implementation of the Real Estate (Regulation and Development) Act, 2016 (RERA) has helped restore homebuyer confidence and brought positive sentiment back into Mumbai’s residential real estate sector. There is a sense of renewed optimism, with signs of an upward trend in end-user demand, which is also resulting in increased consumption of ready inventory. Also, there are various schemes being offered on such inventories to reduce holding costs. In this context, responsible developers continue to attract end users who are seeking high-quality homes that are developed on time, and at the right price points. Prices have remained flat in most of the micro markets except Thane, which has seen a marginal increase in pricing in 2018. New launches in MMR have witnessed steady growth, with developers launching smaller units with lower ticket size to cater to the prevalent market demand. Launches have seen a steady increase in absorption during the year, and most have been in the affordable segment. The housing demand in Mumbai typically far exceeds supply, especially in the affordable segment. We expect residential real estate in MMR in 2019 will be driven by end users, who are back in the market and are seeking quality homes by well-regarded brands, in fast-growing locations. How have the city developers prepared for 2019? The focus is on launches with smaller units and lower ticket sizes, considering the current market dynamics. As far as luxury and premium segment projects are concerned, developers are focused on project completion and acquiring OCs, which will provide traction to sales, owing to no GST on ready projects. Developers are also coming up with an array of relaxed payment schemes, with down payment often as low as one percent. With planned infrastructure development in the city such as the upcoming metro line which is expected to improve accessibility to many more areas (especially in the suburbs), there is enhanced interest in projects in these locations. Also, homes in Mumbai typically entail big-ticket purchases vis-à-vis other Indian cities and special schemes/incentives are leveraged to support sales and enhance affordability. Property pricing is governed by demand and supply and is very micro-market driven. An address to call one’s own holds strong aspirational value in Mumbai, which contends with the acute land shortage and where property rates are amongst the highest in the country. Consequently, Mumbai routinely tops the list of Indian cities with the most expensive homes. Going forward, we can anticipate a positive trend in prices of homes in Mumbai, corresponding to a rise in the cost of construction materials; labour; land; and overall inflation. Projects by corporate real estate brands might attract a premium because of brand value; quality of development; previous track record; features and amenities; proximity to social infrastructure; focus on building communities that extend beyond individual homes; and connectivity to city business districts. Which areas are the most popular among buyers? Over the last 50 years or so, Mumbai has slowly grown from its erstwhile core (South Mumbai) to its current core (Bandra – Kurla) and emerging core (Andheri – Ghatkopar). With this shift in growth centres, the need for housing has grown so much that the city has continually rediscovered its affordability by shifting its boundaries along the more populated suburban areas. For example, there has been growth in the Western line, from Borivali to Dahisar and to Vasai-Virar (which now forms a part of the Palghar District) and now Palghar proper. Similarly, central suburban areas such as Kalyan - Dombivli and Ambernath – Badlapur have emerged as investment destinations for homebuyers. Thane is also a popular home buying destination, with more than 50 percent launches located in this micro market. The Western suburbs and its extension too have seen a host of big launches, with Naigon and Andheri East seeing traction. Navi Mumbai, specifically Panvel, has also witnessed demand. In the extended central suburbs, Dombivli and Ambivali have garnered traction. Overall, the extended peripheral areas of Mumbai continue to attract homebuyers. Real estate is very micro market driven. There are pockets which have performed exceedingly well and are expected to continue to do so, owing to the existing or upcoming infrastructure and also due to the attractive ticket size developments. Moreover, branded or national players will continue to enjoy good traction due to sound fundamentals - trust, transparency, on-time and quality delivery and strong corporate governance practices.